"The Silver Liner: Sails to the Edge!" is Due in April of 2019! The fifth and final book installment in the Silver Liner Series will conclude the story of Kendrick and Fiona, and of the Great Silver Liner! Daniel Sullivan will be appearing at Cecil Con! The author will be available to answer questions and sign books. He will have stock of his Silver Liner Series available for purchase. Cecil Con is on April 12th and 13th! Daniel Sullivan will be appearing at Shore Leave! The author will be available to answer questions and sign books. He will have stock of his Silver Liner Series available for purchase. Shore Leave is on July 12th - 14th! Aside from writing, I also draw, paint, photograph, and cosplay. See my work on Deviantart! The Silver Liner: Under Siege! Heading to Ceres on Starfleet’s errand, the Selene and her crew have undertaken the grandest scientific exploration endeavor in human history. Never has humankind been so far away from home, and never have the stakes been so high. Humanity’s very future is riding on the outcome of this mission—but political machinations have a way of making themselves felt hundreds of millions of kilometers from Earth. There are those who have a vested interest in the mission’s failure, and their unseen hands were in motion before Selene’s takeoff. Kendrick and Fiona have never faced so great a threat, and with the forces arrayed against them, failure is virtually guaranteed. With the Selene under siege, it will take a miracle for them to beat the odds this time. After over two years of running, Captain Royce and the crew of the Selene are finally going home—under the protection of the very man who had engineered their capture: Colonel Siegfried Tracht. Royce and his crew had gone from being wanted fugitives to being the heroes of the hour! The most ambitious exploration mission in human history was about to begin, with Ken Royce at the helm of his magnificent ship … but enemies yet remained, all determined to capture or kill them. This time, Selene’s captain and crew had new allies—Colonel Tracht, a revitalized Heather, Captain Giffords, Commander Jax, and even the president of the United States! Would they be enough, or would the forces arrayed against them prove too much? Buy your book or e-book here! Captain Royce has won the day, the loyalty of his crew, and the love of Doctor Kinsale. But all is not well! 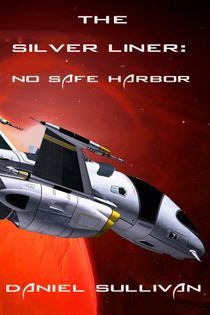 After an explosive shootout on Venus, Captain Ken Royce and his ragtag crew are wanted by the Alliance and the United States. With two governments, a tech firm, a crime lord, and a bounty hunter on their trails, the S.S. Selene has nowhere to go. 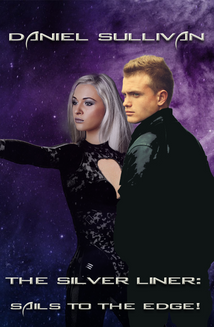 A free port on Mars is their only hope, but it soon becomes clear that the mystery of Lena is far from solved, and that Royce himself holds the key to the solar system—only he has no idea why! 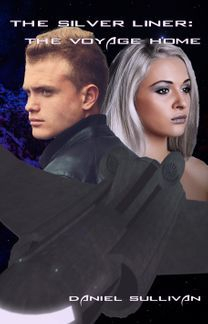 With all of his aces played, and their enemies closing in, will Royce’s instincts and the Selene’s fantastic speed be enough to outrun their fate? Buy your e-book copy here! Dashing Captain Ken Royce learned to trust his instincts and feelings long ago. 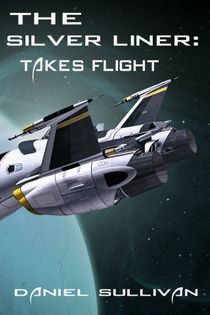 As captain of Selene—the undisputed fastest space liner in the system—Royce does not have a care in the galaxy, until he takes on a crew of misfits that includes an Irish priest with a dark past, a fugitive doctor classified as an interplanetary terrorist, a young engineer without a future, and a mall cop seeking adventure. 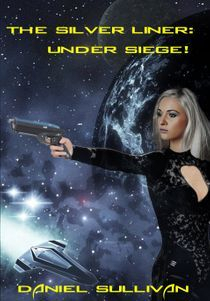 After Royce and his renegade crew discover a dead android woman floating in space who looks exactly like Royce’s late wife when she was younger, they are soon pursued by government operatives, corporate agents, a shadowy bounty hunter, a powerful mob boss, and a sociopath captain in command of the most advanced stealth warship in space. As the clock ticks away, their followers close in. Unfortunately, Royce has used all his aces. With their lives in jeopardy, Royce must once again trust his instincts if they are all going to survive. In this science fiction adventure, a space captain and his motley crew must risk everything to solve the mystery of a beautiful android and outrun their determined pursuers. 2018 National Novel Writing Month Winner, "The Goddess' Eyes" is complete! The Witch Queen of Avendon has been completed, and was a 2015 National Novel Writing Month winner! Editing the draft at present!